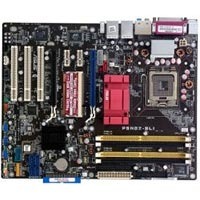 Embedo is the one-stop destination to avail a wide range of Computer Motherboards. As a Computer Motherboard Supplier, Exporter and Importer in Delhi we provide top quality products. The Computer Motherboard, which we provide is sourced from reputed manufacturers and developed keeping in mind the latest quality standards. embedo Technologies Pvt. Ltd. is Based in the Capital of India, New Delhi. We are a Prominent Supplier, Importer and Exporter of Computer Software and Peripherals. We Provide a Wide Range of Products Including Computer, Computer Peripherals, Biometric Security System and Networking Equipment. We Provide Services of Software Development and also Provide Annual Maintenance Charge (amc) for Cost-efficient Maintenance of the Hardware Devices. with the Presence of Visionary Leaders, We have Attained Swift Growth in a Short Period of Time. Embedo Technologies Pvt. Ltd. is a reputed Supplier, Importer and Exporter of Computer Hardware and Software. We provide best quality Computer, Computer Peripherals, Biometric Security System and Networking Equipment. We also provide services of Software Development and Annual Maintenance Contract (AMC) for proper maintenance of hardware at economical price. We believe in giving best quality to our clients. We are well-known for providing superior IT solutions for hardware and software at a negotiable price. For this, we have committed computer engineers who can solve all your computer related problems in a cost-efficient manner. Our clientele includes multinational companies and large organizations, schools and colleges. We source our products from quality vendors in the domain. Our strong network and workforce enable us to render our services as per the needs of our clients.